When someone does something outside of the norm, we all have the same question—Why? We want to understand why people make the decisions they make… why they do the things they do. Thirteen Reasons Why by Jay Asher is the story of Hannah Baker’s why. It’s also the story of how a boy named Clay Jensen discovers it. The book opens with Clay finding a package addressed to him on his front porch. The package contains several cassette tapes Hannah recorded before committing suicide two weeks earlier. When he plays the tapes, Clay learns there were 13 reasons Hannah, who was his classmate and crush, killed herself. He also discovers he has the tapes because he is one of Hannah’s 13 reasons for ending her life. Clay discovers through Hannah’s story that the girl was much more complex than he expected and what he knew about her life was just a small part. Thirteen Reasons Why was one of a handful of young adult novels I read this summer. I read it after having enjoyed The Fault in Our Stars and The Perks of Being a Wallflower. It, unfortunately, didn’t compare. 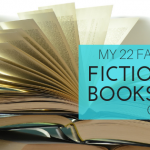 However, I’m not sure many books could compare to John Green’s The Fault in Our Stars. 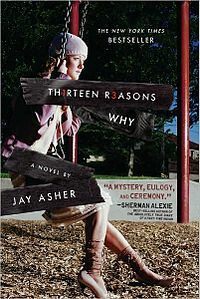 For a reader who generally doesn’t enjoy young adult novels, I still found Thirteen Reasons worth reading. I found that I kept reading because I was curious about the ending. That, to me, is a good quality in a book. I’m curious, why didn’t you enjoy it as much? I actually think I enjoyed it more than the Fault in our Stars, and definitely more than the Perks of Being a Wallflower, because I think it was more fast-paced, and the idea was more original. What was it that you didn’t like? alicekouzmenko Honestly, I don’t really like young adult novels. The stories are just too sappy sweet or immature to keep my interest. I loved the Fault in Our Stars because of the underlying storyline of death and mortality. I liked the Perks of Being a Wallflower because of the main character’s snarky personality. It was difficult for me to keep reading Thirteen Reasons Why. I just didn’t relate well to the characters. profkrg alicekouzmenko I see where you’re coming from. Although I loved it, I almost feel as if it were a little light-hearted. The subject was so powerful and emotional, but I feel as if the book was too fast-paced and maybe didn’t focus on a deeper meaning as much.